Proud to have Mouchette in this archive! The Digital Canon (1960–2000) of the Netherlands. Experts from the field of digital culture selected twenty of the most prominent and influential works made on Dutch soil by artists who lived or worked here over a long period of time. The works and their makers are not all equally well known, yet this does not detract from their lasting influence on digital art and culture. 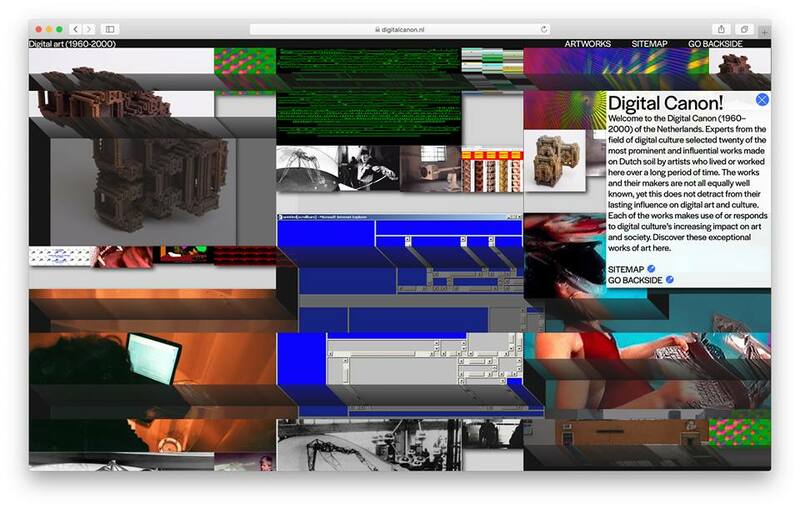 Each of the works makes use of or responds to digital culture’s increasing impact on art and society. Discover these exceptional works of art here. © 2019 About Mouchette. All images are copyrighted by their respective authors.